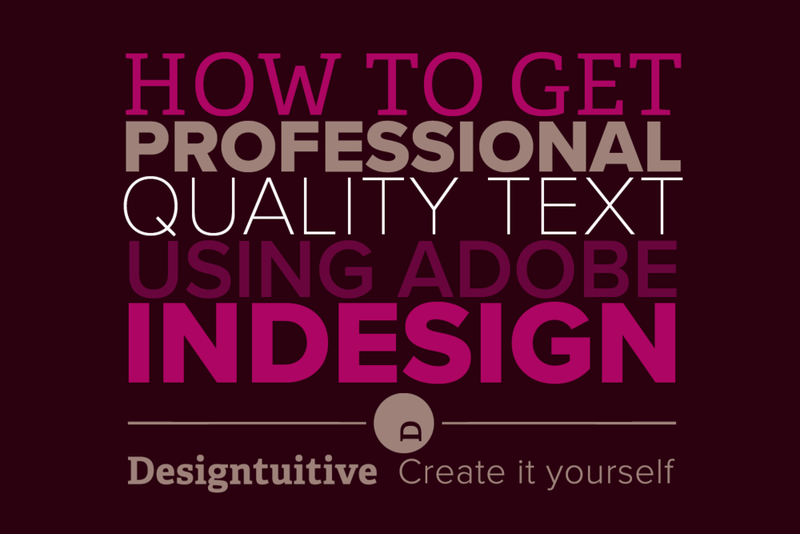 In this mini-series we’re looking at working professionally with text in InDesign. If you’ve read the previous posts and watched the videos you’ll know how to create Paragraph Styles to give you creative control over your text. Following on from the previous post where you learned how to create and apply paragraph styles, now you’ll be ready to edit them. To edit a paragraph style simply right click on the style’s name in the Paragraph Styles panel. A context-sensitive menu appears that includes “Edit [name of style]”. Choose that option. As you’ll see in the video, that opens up a large dialogue box. The long list of options in the left column covers pretty much everything you could wish to do to your text. So long as the “Preview” box is checked at the bottom left of the dialogue box, you can change any setting you wish – and see it immediately applied to any paragraph that uses that style. This is the secret to working with text in very long documents. If you’ve ever worked on a long text document without paragraph styles you’ll know how crucial this InDesign feature is. Getting text that’s consistent, particularly on a long document, is at best challenging if you’re not using paragraph styles. If you are using them there three ways (at the time of writing) to tell if your text matches the paragraph style it’s supposed to be using. The first way is to look for a “+” symbol next to the name of the paragraph style (in the paragraph styles panel). If there is one there, it indicates that there is an “override”. If you hover your cursor over the “+” it’ll tell you what the override is. The second way is to look at the “Clear Overrides in Selection.” If the button is greyed out (not clickable) then you know there isn’t a problem. The newest approach is to activate the Style highlighter, which you can do by clicking on the “[+]” icon towards the top right of the paragraph styles panel. Hold down the alt key and click on the name of your style in the paragraph styles panel. Press the “Clear Overrides in Selection” button. These videos are from “Intuitive InDesign 3: Concise, Creative Text” which is the newest course available as part of a Designtuitive Annual Subscription. In this mini-series we’re looking at working professionally with text in InDesign. If you read the previous post you’ll know that Paragraph Styles are what separates a professional approach to text from an amateur one. When you’re working with text you might have noticed two strange little symbols at the top left of the screen. These are actually buttons. They give you access either to InDesign’s Character or Paragraph Format Controls. It might not look any good, but you could select an individual character and change its size or colour. So that’s what the commands under that button do. InDesign breaks what you can do to text into these categories. The bad news is that it can be quite complicated applying all the text features you might want to, especially as many are scattered across several parts of InDesign. But the good news is that virtually everything you might want to do with your text is combined in one place: the Paragraph Style. Capture what you’ve done as a Paragraph Style (Paragraph Style panel menu>New Paragraph Style). In the final part of this series you'll learn how to edit your Paragraph Styles and fix any text which isn't consistent. In this 3 part mini-series we’re going to be looking in depth at how to get more professional results with text when using InDesign. It means that you can be confident that you’ve applied all the creative features that you want, that you can change them, and that those changes will be applied consistently throughout your document. And if, for some reason, they become inconsistent, you’ll know about it. In the next part of the series you’ll learn how to create Paragraph Styles.